It is currently available in beta version. It only provides basic features as compare to Windows version. In the beta release, it supports only Firefox and Safari cleaning with other options to clean Trash, Temporary Folder, Recent Files and Servers. 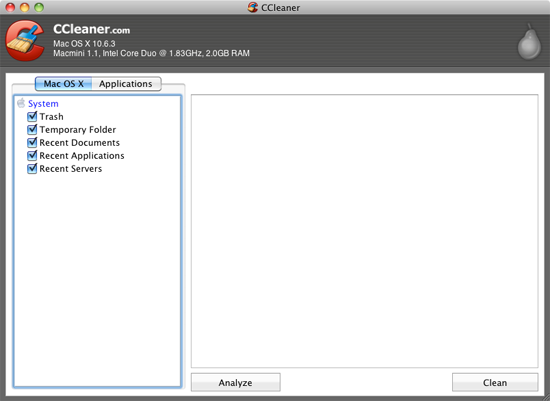 CCleaner is compatible with Mac OSX 10.5 Leopard and 10.6 Snow Leopard. As it is the beta release, so only advanced users are encouraged to test the app, according to the developers. CCleaner is the best on the free market. I have it for many years now and it hold my PC in perfect condition. 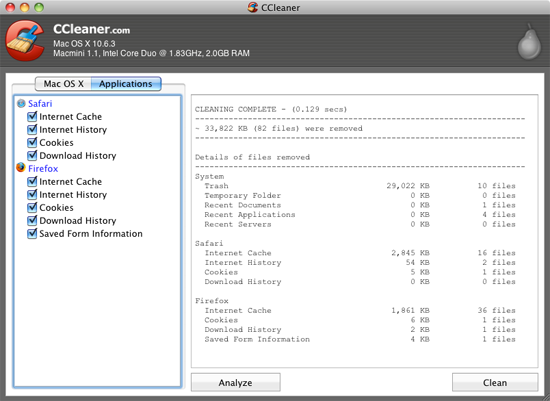 CCleaner is one of the most familiar registry cleaners available on the web for PC and if I had a Mac, had I download this beta version direct.